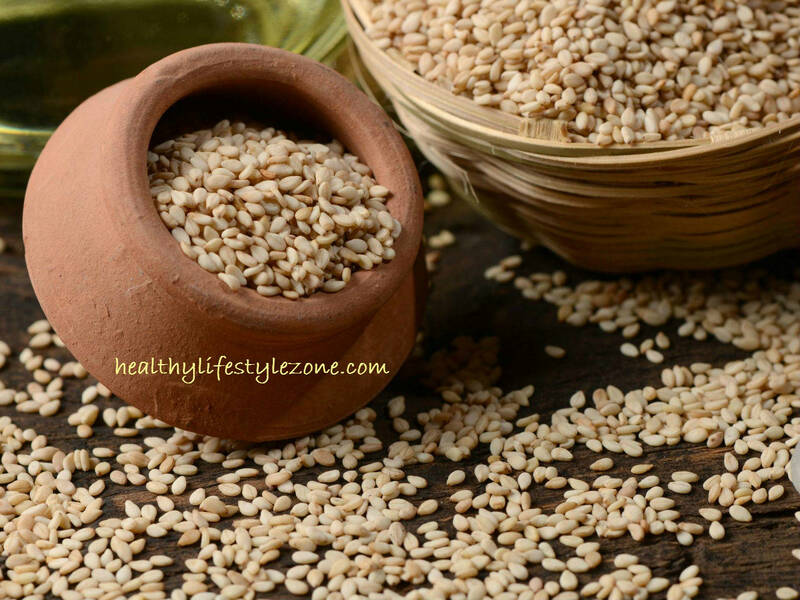 Sesame seeds are a kind of seeds that provide energy and aid your overall health and wellness. They are a great source of high quality protein that is very important for growth, especially in children. These seeds are also rich in minerals such as iron, calcium, zinc, selenium, magnesium, and copper. Did you know that a 1/4 cup of sesame seeds contains more calcium than a cup of milk? Calcium is not only crucial to the bone strength, but it is also beneficial for migraines, provide relief from PMS and aid in weight loss. The copper found in sesame seeds provides anti-inflammatory benefits, helping with fibromyalgia and rheumatoid arthritis. Sesame seeds are a good source of Vitamin E and Folic acid. They also contain B-complex vitamins such as niacin, which reduces anxiety, improves GABA activity in the brain, and provides a better night’s sleep. These magical seeds contain a special substance called “sesame-lignin”, which is a potent antioxidant, important for fighting free radicals and can also help in preventing high blood pressure and lowering cholesterol. Sesame seeds have the exclusive potentiality to nourish the nervous system, support the cardiovascular system, strengthen hormone production, reduce fatigue and benefit the digestive system. Due to the high Vitamin E content sesame seeds have been known as an ancient beauty treatment for beautiful and healthy skin, nails and hair. You can easily incorporate sesame seeds into your nutrition by sprinkling them on salads, rice or vegetables, mixing them with dates or honey, or using them as a delicious tahini. Tahini is a sesame butter that is creamy and rich, and can be used for salad dressings, sauces, dips or hummus.